Canada’s WestJet has taken delivery of its first Boeing 787 Dreamliner and will begin domestic flights between Toronto and its home base of Calgary from February 20. The domestic flights will help crew familiarise themselves with the new aircraft before the launch of the first international service between Calgary and London Gatwick on April 28. The new 787-9 aircraft, named after founder and chairman Clive Beddoe, is seen as a game-changer for the airline and will launch WestJet’s first lie-flat business class product. The 16 private pods will feature direct aisle access, personal stowage space an 18.5-inch touchscreen as well as premium blankets and pillows and a turn-down service. The 320-seat aircraft will also offer premium economy with 28 recliner seats in a 2-3-2 configuration. “Today’s delivery marks a new chapter for WestJet,” WestJet chief executive Ed Sims said in an announcement to mark the delivery. READ WestJet wins best low-cost carrier Americas. WestJet has 10 Dreamliners on firm order with options for 10 more. 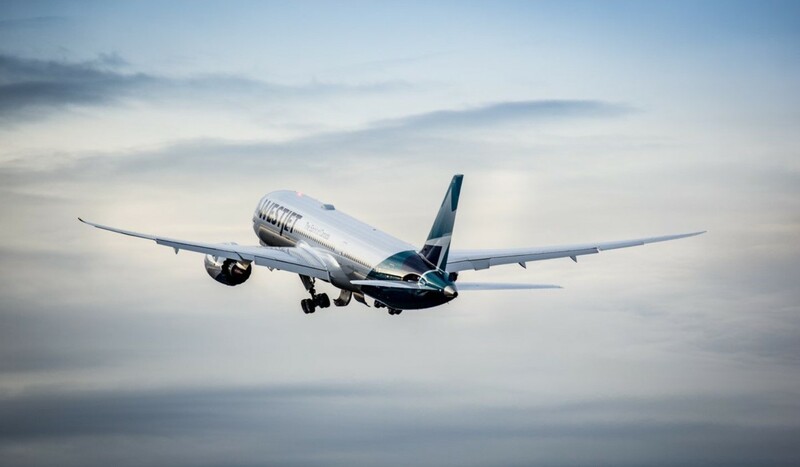 The second and third WestJet Dreamliners are currently on the Boeing production line and will be delivered in February and March ahead of the start of the airline’s Calgary-Paris and Calgary-Dublin services. As well as a new level of passenger comfort, the Dreamliners offer greater range and the ability to reduce fuel use by 20 to 25 percent. The aircraft is the fastest selling widebody in jet history and about 1400 have been ordered. Boeing said WestJet had had also taken Boeing AnalytX solutions to help it optimize its 787 operations. The manufacturer said these included Airplane Health Management, which provides predictive analytics to optimize WestJet’s 787 fleet operations, as well as Toolbox, which delivers real-time information for technicians to quickly resolve maintenance issues and keep airlines on schedule.